Heat oil in a medium size skillet and add ground beef. Saute (using the back of a spoon) to break up large chunks) until no longer pink. Stir in hot sauce and Field Peas & Snaps; lower heat and simmer 5 minutes. Lay tortillas on a work surface and spread with (1 tablespoon each) guacamole then divide ground beef mixture between the 4 tortillas. Scatter with cheese and roll up burrito style. 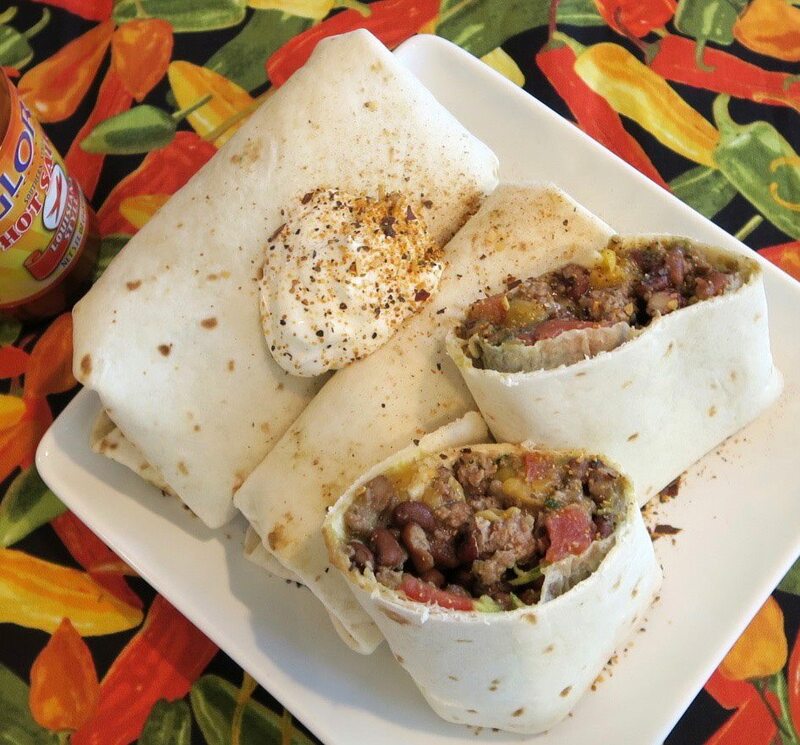 Top burritos with a dollop of sour cream and sprinkle with hot pepper flakes, if using.